The heart of the home has always been the kitchen. (I’m sure there is some cave art over in France that shows this from the earliest days of human recordings!) You have a party, people wind up in the kitchen. The kids need to do homework, you park them at the kitchen table. Realtors know it, too. When we go to meet with someone about selling a house, we go to the kitchen table. Buyers migrate to the kitchen to make their decisions. It’s probably the room that most succinctly captures why real estate is so odd as a financial instrument - emotion rules supreme. 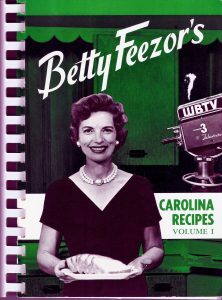 Perhaps you’re not a native of the Charlotte area, and you’ve never heard of Betty Feezor. You really should look her up - she’ll be your new heroine, too. Betty was Pinterest before the internet existed! She had the recipes... the cooking tips… the homemaking tips... the sewing tips... you name it. Her cookbooks are full of advice in addition to recipes (which, frankly, is my favorite part to read!). for creating a proper showcase for it. Our front conference room is now the. When you come visit us at RE/MAX Executive, we’ll meet you there. 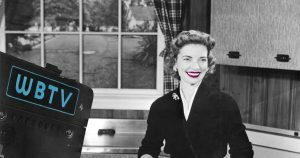 We can help you buy or sell your real estate in our "time machine" to the 1950s... where things were done from scratch - from the heart - done well - in communities that matter.